JinkoSolar, a global leader in the solar PV industry, has reported a record high for the third quarter of total solar module shipments at 2,953 MW, up 5.7% sequentially and 24.4% year-on-year, as well as total revenues of $974.8 million, an increase of 10.5% from the second quarter of 2018 and an increase of 4.3% from the third quarter of 2017. The overall market increased Q to Q largely due to the stability in emerging markets, and developing markets posting a moderate growth, the company noted in a statement. Parallel to this, the continued strength of JinkoSolar’s business contributed to the operating profit. The results can also be attributed to JinkoSolar’s focus on strengthening product competitiveness via continuous expansion of technology upgrading and sales expansion of high value-added products, such as Cheetah. The solar PV market conditions are likely to remain challenging in 2019 amid stiff pricing competition, the company noted, adding JinkoSolar has responded through the early introduction of the Cheetah product and competitive mid-level models with new features. Its shipments for next year are expected to rise significantly, while earnings will continue to improve as the company expands sales of new premium models, even as competition is seen to be intensifying. In addition, unlike rivals, JinkoSolar has established offices around the world, it noted. All seven regions – North America, China, Europe, Asia, Latin America, Middle East & Africa, ROW – contributed to its record sales of 11-12 GW in 2018. The outlook for Jinkosolar remains strong across next year in all regions thanks to robust demand and a highly visible pipeline of orders for its high quality products as well as new product introduced into the market, the company stated. JinkoSolar will proactively address demand for differentiated products. In the mid and long term, JinkoSolar expects new opportunities in its business from ongoing transformation in the industry, led by the fact that grid parity will be achieved in more and more countries. The company’s goal of significantly consolidating involvement in the global market step-by-step is making good progress, JinkoSolar informed. 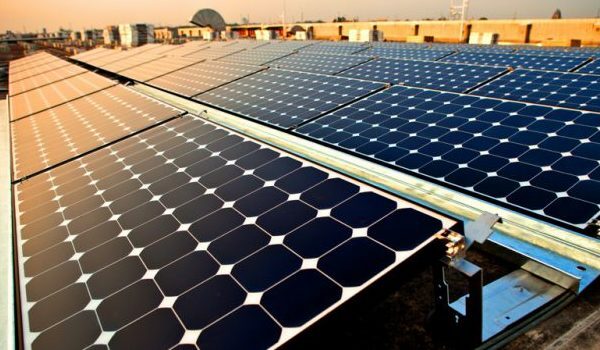 With its sales guidance unchanged, Jinko Solar is expected to deliver 11-12 GW shipment this year, which should enable it to boost its market share up to approximately 15% and much higher in emerging markets, thereby securing a long-term leading role in the overseas market, the company stated. JinkoSolar solidified its competitive positioning by focusing on value-added products, including Cheetah and Bifacial based on the mono PERC technology. It has ramped up the capacity of its flagship Cheetah series, seeking to revitalize the market, since customers have been eager to upgrade, impressed by its power and new features. Investors and developers have also become far more interested in technology and quality because of good project returns. Cheetah has received a terrific market response following its launch in the US market. Jinkosolar is the first manufacturer to start the GW scale production and sales of Cheetah up to 400 watt until now, it noted. It represents new wafer size and pioneering technologies such as mono PERC and half cut. These features lift the upper power range to the next level. It will ramp up to its full capacity of Cheetah in 2019. It has had a terrific response from the customers because it boosts output and performance significantly without many changes in engineering design. All of that belongs to its comprehensive market initiative. In the past five months, solar prices dropped 30% roughly after China’s sudden policy change. On the one hand, this development decreased installation costs for new solar projects, particularly large, utility-scale systems, and spurred new investment opportunities in other countries. On the other hand, it hit smaller companies harder and brought them out, therefore accelerating consolidation. Current demand continues to be strong, despite some softness in a few spots. With a strong product portfolio and robust order pipeline, coupled with increasingly favorable grid parity environment, the company is well positioned to fuel its growth next year and in the years to come, the company believes.